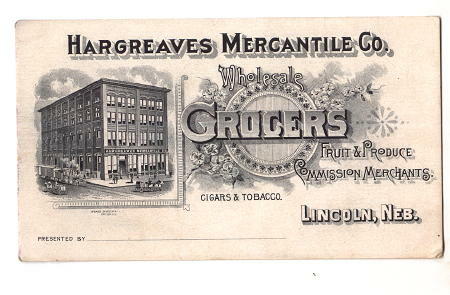 The original occupants of this building were the Hargreaves Bros. Company, wholesale grocers who handled fruits, staple and fancy groceries, tea and cigars. An 1889 description stated they were attracted to the then-three story structure by the expansion possibilities offered by its ample size and track facilities on 8th Street. 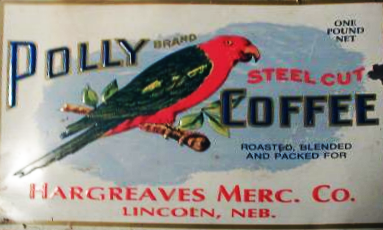 The firm's founder, English immigrant A. E. Hargreaves, knew something about expansion, since his business had grown from a single peanut stand in 1875 to $1 million in annual sales by 1889. In 1905 a fire which started in the warehouse's match room gutted the entire third floor and destroyed the roof. 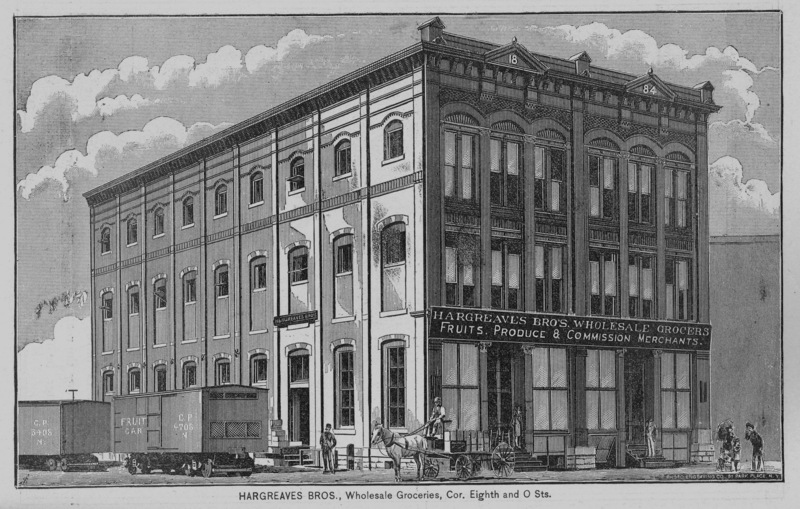 A few years before, the Lau Company had suffered a fire (see #3) and Hargreaves had made its warehouse available in order that their competitor could continue in business. 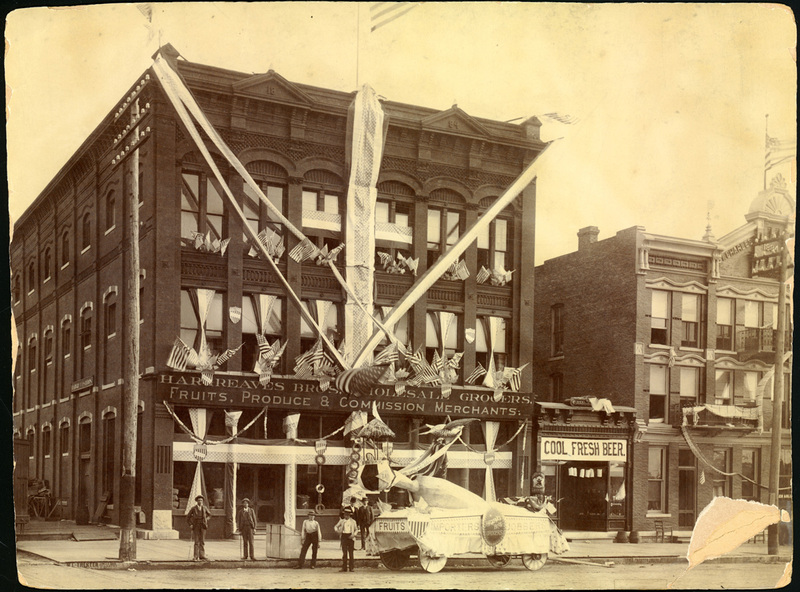 The Lau Company took this opportunity and repaid the favor in their new warehouse at 8th and Q Streets. The 1905 rebuilding and repairs included the addition of a fourth floor. 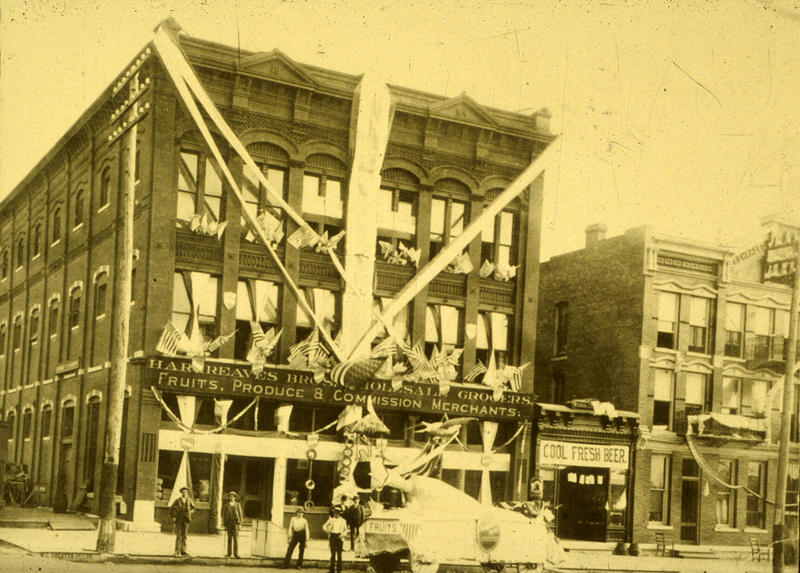 As the pre-1905 photograph shows, the original third floor windows on the north (O Street) façade had arched heads. In the rebuilding, those windows lost their arches, but the new fourth floor windows gained them, making the taller building appear very similar to the original design. 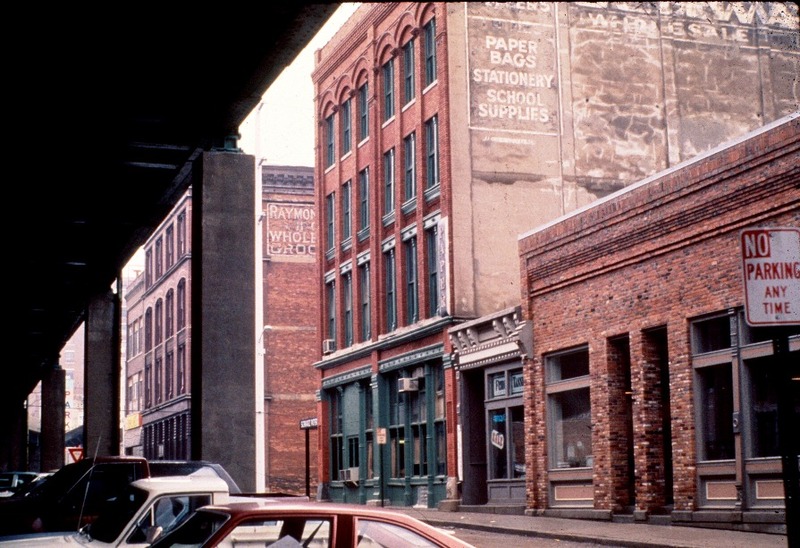 The O Street storefront includes cast iron Seaton & Lea piers and columns. Remarkably, even the wooden sash of the original storefront has survived. 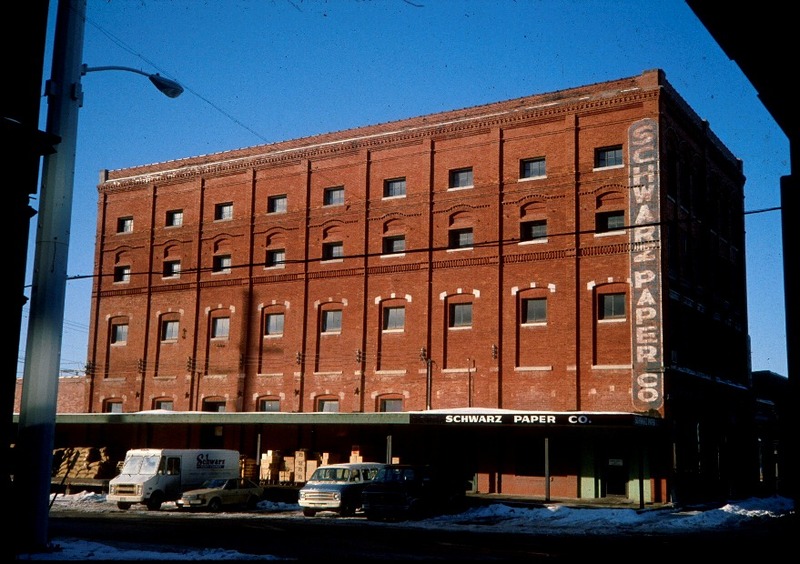 Schwarz Paper Company acquired the building in 1917 and occupied it well into the 21st century.